Change your skin in Minecraft PE! 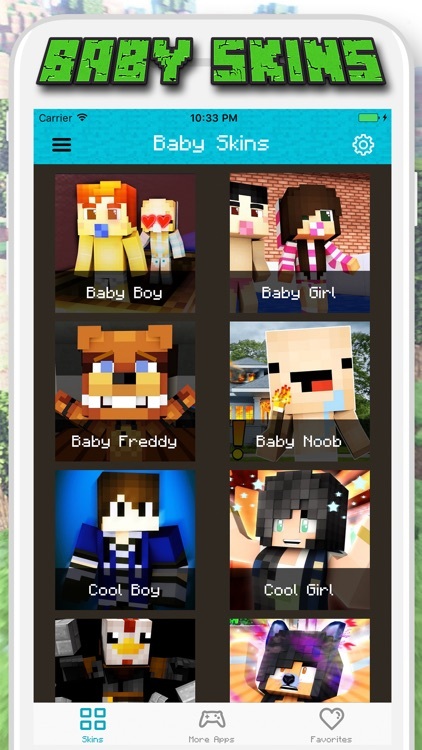 This app is the best database of baby skins hand-picked & created by professional designers you can find on the App Store! 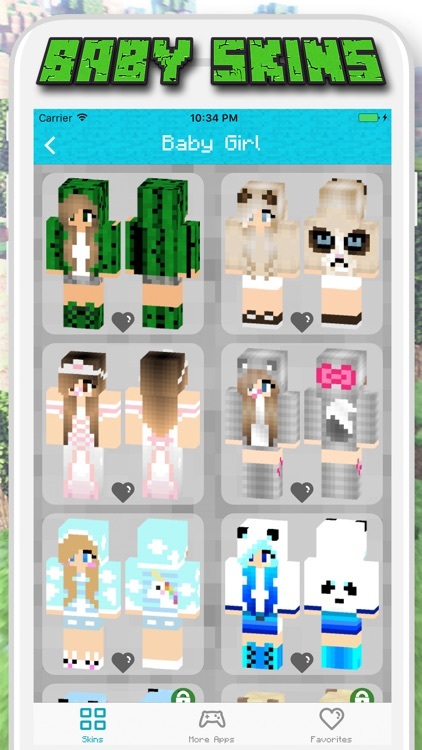 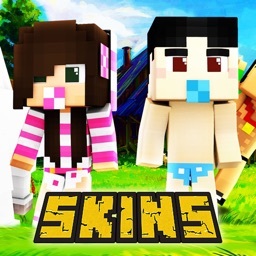 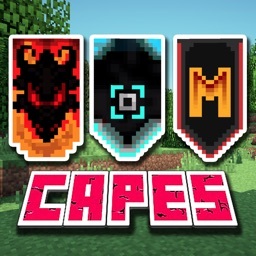 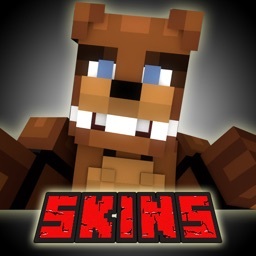 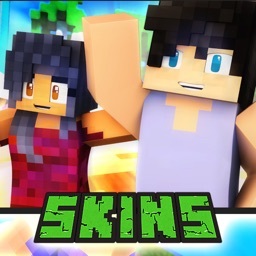 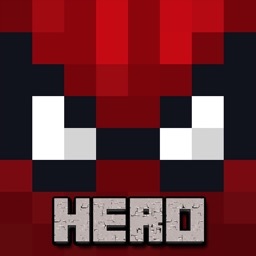 This app allows you to choose and apply a skin to your Minecraft character for free with just the touch of a button. 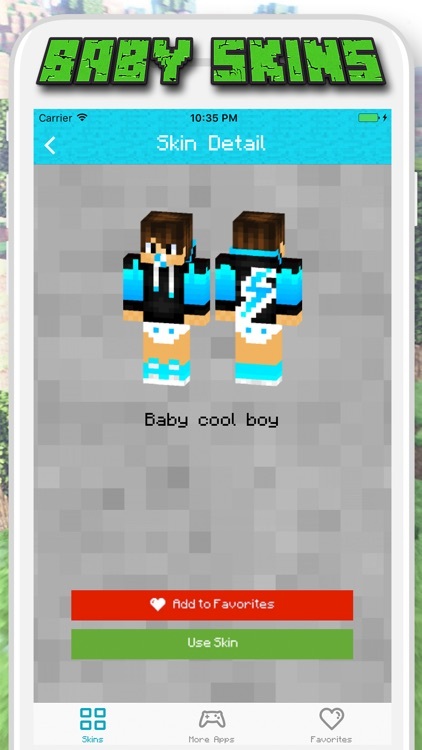 You will find the best cute baby skins and collect it in your favorite easily. 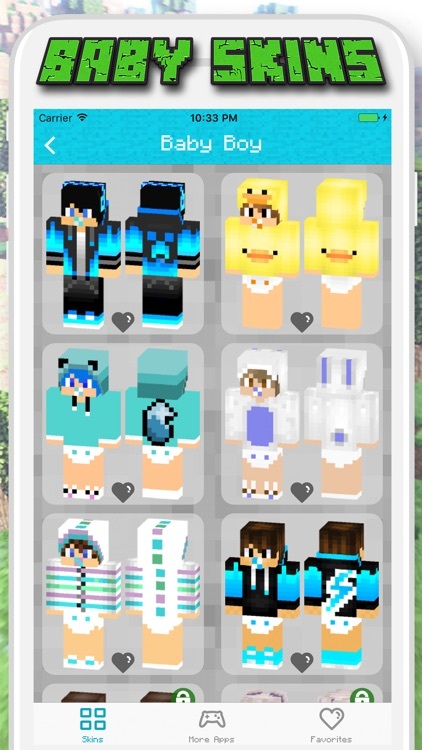 Note: Not everything is free in this app, it requires IAP to unlock content.